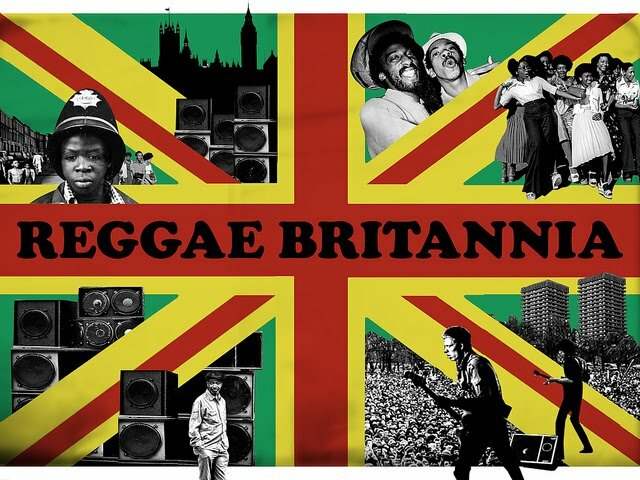 Jamaican ska and reggae rhythms have formed the foundation of popular music in the U.K. over the last 50 years and almost every British music craze from skinheads to mods, punks to 2-Tone rude boys and ravers and dubsteppers owe much of the sound and style of their favorite songs and albums to the enduring influence of ska and reggae. The impact of West Indian culture and reggae rhythms on British culture is the topic of 'Reggae Britannia' a widely anticipated BBC documentary directed by Jeremy Marre, (who also directed the excellent 3-part Soul Britannia documentary series) that tells the story of how reggae music and culture has formed an intrinsic part of British life since the mid-Sixties and how black reggae and ska musicians, either from Jamaica or British-born, found their music and identities shaped by the rejection or acceptance of British audiences. Read a great article in The Telegraph about the documentary. Marre explains the genesis of the documentary: “I wanted it to be a positive story,” says Jeremy Marre, the film’s director, “to show how reggae in this country evolved, and impacted on British music, society and even politics, and how reggae, as it evolved here, took on a kind of Britishness. It evolved its own style, flavour and lyrics, which were specific to these islands.” The documentary includes interviews with Jerry Dammers and Neville Staple of The Specials, Dennis Bovell, Chris Blackwell, UB40, Paul Weller, Janet Kay, Carroll Thompson, Dennis Alcapone, Boy George and many more. 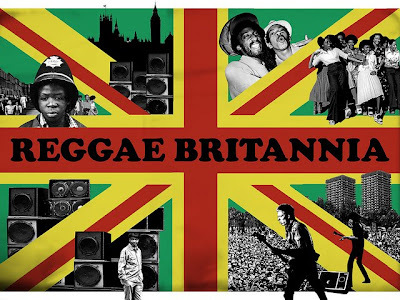 To coincide with the airing of the documentary on the BBC, the Barbican (a club located in London) is hosting a live 'Reggae Britannia' concert on Saturday February 5th (the show is long sold-out) to celebrate Reggae's influence on British music and culture. 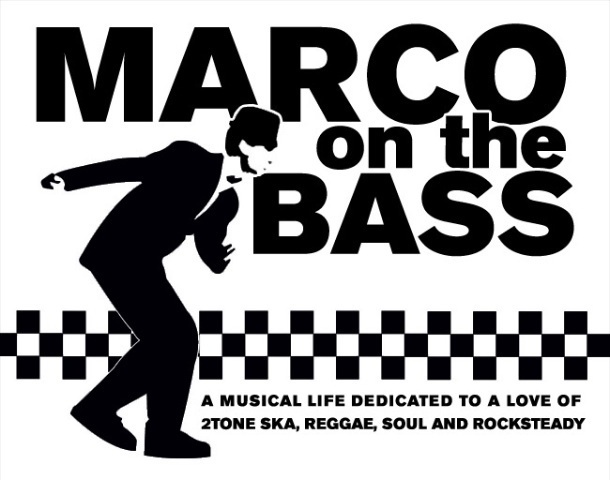 The show will feature hits from the 1960s to the present day and tell the history of reggae in Britain from Ska, through Rocksteady, Roots, Dub, Lovers Rock and beyond. Music Director Dennis Bovell (of Matumbi and LKJ's backing band) has assembled an All-Star band which includes some of the most important reggae musicians in the British scene to back up a all-star cast of singers and toasters including Dennis Alcapone and Winston Reedy, Dave Barker, Pauline Black, Ken Boothe, Ali Campbell, Brinsley Forde, Neville Staple and Big Youth. In fact the BBC are filming the Barbican concert and it will be broadcast together with Marre's documentary a few days later. Its times like this that I wish I could get the BBC here in New York! Here's to hoping this all gets released on DVD! Hey, you should look at Pogus Caesar's astounding book MUZIK KINDA SWEET = it features rare archive photographs of legendary Reggae artists including: Burning Spear, Mighty Diamonds, Augustus Pablo, Jimmy Cliff, Junior Delgado, Prince Alla, Dennis Brown and a host of others. This book is a must for all lovers of Reggae. Sounds interesting, but I don't I call the Barbican a club exactly, it's a massive arts complex, sort of like you Carnegie Hall in ranking - i.e. it's one of major concert halls along side the Royal Albert Hall and the Covent Garden Opera House, only it tries to be a bit more "of the people"... Not really the sort of place I'd want to hear dancing music.